Kindly pick the relevant topic from the list below. Does any of the names below sound familiar to you? Would you like to share with us how they help transform your long awaited big day into the most perfect wedding :)? Or make a disaster out of it :(? The bridal community needs your advice. For general shout-outs about weddings, comment HERE. 1. Provide tips or review about a wedding vendor; wedding banquet, bridal studios, photographers, make-up artists, bands, videographers, etc. 2. Describe about the quality of service, food, environment, professionalism (when applicable), as a bride/ groom or guest. 3. Share photos by uploading to http://www.facebook.com/WEDresearch or providing the link to your online album. 4. Recommend a wedding vendor. 5. Respond to existing question. 6. General comments about wedding. If you don't have an account to comment, kindly select "Name/URL", you can leave the URL blank. oriental banquet - good food, pillars has tv screen with video camera that pans to the bride/grooms. only problem was the restaurant may have 2 or 3 simultaneous weddings at the same time, which is irritating because they yum-seng at different times. I think Carcosa Seri Negara is one of the best wedding venues. Visited Sime Darby Convention center last week, very nice pillar less hall. Hi i m planning my wedding for next year. Can i have the access? I need some ideas on the wedding venue as well as the bridal shop and make up artist, I just start my research now. I recently attended a wedding at Sin Choi Wah and the food was great. Attended a wedding at Kota Permai Golf Club, couple of months back. It has a nice hall setting, but the pricing, am not too sure. Hi, am planning for a small, intimate wedding. Any good venues around in KL? I have provided you with the access to the full list. There you can search by hotel, club, chinese restaurant, bungalow. There are about 8 bungalow options there for intimate weddings, Ciao, Courtyard Garden, Duchess place, Passion road. Also under "Club", Bankers club which is very classy place. Villa danieli (Sheraton Imperial KL) received very good review about their food, perfect for small weddings. Chinese restaurant, Ming Room is cozy and it serves good food. Attended wedding at 1 world hotel couple of months back. Good ambiance, however, food can be improved with the price tag that comes along with it. Hi amy, which dish was good and what was bad? I'm interested in 1 world because of the location. its a great page. :) cant wait to access it further!! Melissa access has been granted... enjoy your adventure... wedding research I mean! Attended a wedding dinner at The Bankers Club (Amoda Building) - I was pretty impressed by their cantilever staircase which was nicely decorated right in the centre of the lounge. Classy and nice ambience. Food wasn't too bad. However, this place is more ideal for small function. I am not sure about the max tables it can cater but anything less than 30 tables shouldn't be a problem. 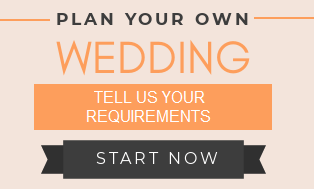 I am planning for a wedding soon, Can I have access? Could you send an email to wedresearch@gmail.com? So I could provide you with the access details. Good luck in your planning! I went for a wedding dinner at Eastin, PJ last year and the newly refurbished ballroom looked absolutely amazing (in person and in the photos)! Parking is plentiful, the dinner was good, only the waiter for my table seemed a bit rushed and inattentive which I suppose can happen when they're busy. I just started planning for my wedding in 2013 and would like to get some ideas on venue that has no pillars, no fish-tank, and with a capacity of around 50 tables, kinda dont like the idea of sharing a wedding hall with few others couples at the same time. Hi RS, You can search for the venue by the location you intend to have the wedding. Click on "Max (pax)" to sort the list of venue by capacity. That you will be able to see the options with capacity of 500 pax and above. Hmm.. fish tank is something not being discussed frequently. I think I know what you are referring to... some chinese restaurants have that. Great blog.. I've gathered so much information from here... Thanks! Im looking forward for a malay traditional wedding. In my mind now is royal chulan (many guest) or seri melayu for less guest. I have attended a wedding dinner at Spring Garden Chinese Restaurant @ Tropicana earlier this year. Venue & deco is nice, but food is so-so. Need to improve on the service as well. The wait staff seems to be in a rush to clear plates! This is a great blog, it has all the useful information in one location. Went to Oriental Banquet for wedding dinner - nice environment; looks grand, reception was slightly small. food is quite decent, easy parking. however pillars were blocking the view of the stage. Attended wedding dinner at Sime Darby Convention Centre. Good ambiance and waiters divide foods for everyone. This is good as it will prevent food wastage. Planning to have wedding dinner in 2013 / 2014. Small venue of 30 tables will do! Went to Palace of the golden horses. Place is fantastic but service is so so only. 6 star hotel with 3 star service for ballroom. went to check on setia city convention centre. The hall can be divided to 3 ballroom and pillarless. Price range starting from RM 1100++ per table. I'm planning my wedding next year, can i have access? Ive attended wedding dinner at Westin KL last week. The ambience and food are nice, good location. i attended wedding dinner at Swiss Garden Residences.. good food, nice ambience with good parking..
didn't know that planning a wedding has so much to do..
last wedding that i attended was at The Mutiara Palace Restaurant. This is a great site! Lots of resources! :D Cant wait for my access! Last wedding I attended was in Oversea Restaurant (PJ Armada). Restaurant's a bit small, not much ambience and bathrooms a bit cramped but the food was delicious! Other weddings that I attended were mostly in Kuantan Pahang. MS Garden Kuantan was pretty good: nice ambience, food was alright. Hyatt Kuantan was grand in terms of ambience but lacking a bit in the food department. Both wait staff however were pretty bad. Drinks required numerous promptings to be refilled, so much so that occasionally we had to help ourselves. Food timing was also a bit awkward as the last 3 dishes (vege, rice and dessert) would only be spaced by a few min in comparison by the occasional much longer wait earlier. Great blog you have here. Great resources. Am looking for a Halal restaurant to host my wedding dinner as an option to hotels. 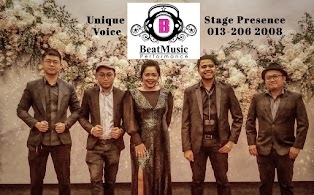 Hi, do you have any source for wedding emcee and the price range for hire a wedding emcee in KL? http://www.jocelyn.com.my 012 3040 802 or jocelynlhv@yahoo.com 3. Jessy http://www.themuseent.com, she can sing well too! I don't how much they charge. William is more expensive. My fiancée and i are planning for a wedding next year, Can we have the access? Hi ChenC, have you sent me an email? If not kindly email: wedresearch@gmail.com. Lets talk about the hotel that i engaged with for my wedding 3 years ago. It was Vistana Hotel. Overall was very good to me and the comment on the food from the guests i invited was good too. The only negative point was the parking at the hotel was very less and limited therefore the guests have to park their car right opposite of the hotel. I'd recommend the Vistana Hotel to several friends and they got the good service from the Hotel too. Visited to Sin Choi Wah restaurant last Sat. New wedding packages with new price. However, they have no wedding hall for small wedding 15-20 tables. Hi, I am very new here. My Fiancé and I are planning to get married next year but have not fixed the dates. So I am just going through the internet to gather some information on the venue etc and found this blog. Boy, I was glad! Thanks alot Lee Ann. 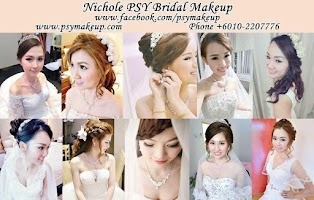 I hope you can post more information for weddings held in Malacca. Lavina, I've written a post on Avillion Legacy Melaka. Anyone else had experience with other venues in Melaka, do chip in. hihi im new here...plan for a wedding next year :) its great blog! Hi Le Ann, any links on wedding planners? The wedding planners list is up. http://wedresearch.blogspot.com/2012/12/list-of-wedding-planners.html. Attended a friend's wedding dinner at summer palace recently. Around 40+ tables. Overall the environment and food is not bad... ample parking at the basement for the guest... but the ceiling is a bit low... air cond is not cool enough.. feel a bit warm... saw many guest took off the scarf and jackets..
Is it summer Palace at Marriott Putrajaya Hotel? Attended wedding dinner in RenaIssance Hotel last week. Ambience was alright, but food is not up to expectations. Best wedding I've ever attended was my friend's wedding at Shangri-La KL. Great food, great deco and everything. and the best part was this friend did reserved the best table for all her closest friends. It's a huge challenge to plan our wedding living oversea.. Thanks Leann for your great work, your research will be a fantastic help! Like the Garden wedding at Saujana hotel. Might just have mine there too! Any recommendations for the venue? This research work done by LeAnn will go a long way helping out those in love. God bless your hard work! I am planning for a wedding soon, Can I please have an access? It will help me alot in planning my wedding. I attended a wedding dinner at Grand Dorsett Subang Jaya. The food was great and the hall and reception area was very spacious! Attended a wedding recently at KGNS, ambience was great! I just sign up with Monliza Wedding Castle for my pre-wedding package. 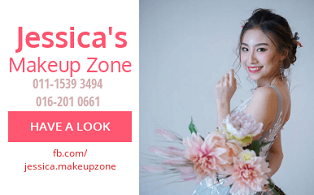 Their studio is great and both me and my girl friend like their Shooting Concept very much. I've just attended a wedding at Shangrila where the venue is transformed into a mesmerizing, dreamy candlelight dinner for 60 tables. Instead of just round tables, the bride and groom put their friends in long tables, which was a great way to save space. Every table was adorned with fresh purple and pink roses. The wedding favor for all the guests was an unusual choice but fits the dreamy theme - incense. I'm Cynthia and the boyfriend(still not used to the term fiance!) and i tying the knot on the 11th of Jan 2014. I'd love to have access to the valuable data here that will enable me to plan the wedding better! This website provides all the info one needs for the venue of their Big Day. Hi Audrey, flamingo is in my list. wonder if i can get more info from you. the food is amazing? tats what i worried most. was yours a chinese dinner or buffet? ur cermony by the lake or in the ballroom? I'm planning for a wedding next year and would like to have a garden wedding in Melaka. Any ideas? Hope to get the access soon. 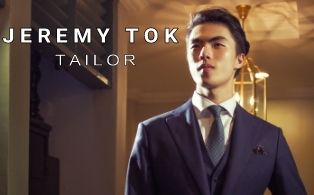 Hi, do you have any recommendation for Dai Kam Jie? 1. Xue Li Jie (Shirley) | 012 3278621 - Review: "I just had my AD a couple of weeks ago. Everything turned out great. My tai kam jie was good, very entertaining which the older folks loved. She prepared chocolate gold coins for the tea ceremony, as i need to give it back to the couple that i served tea to and lolipops for kids that i hand out ang pows to. She sang for each couple when we served tea and could do so in a few languages." 2. Doris | 016-2793185 | RM480 - Review: "My dai kum jeh is Doris. She's very friendy & humourous." I'm planning to do a small wedding in KL. Any recommendations for venue to cater about 150 pax around PJ? Budget <RM100 per pax for restaurants or approx. RM130 per pax for Hotel. Looking for a venue that has a reasonably nice stage with good decors. Jolene, you can do a search for Location: PJ. Those with good reviews with good decor are Eastin hotel and Imperial Garden PJ. I'm so sorry cant give you any comment as I'm not familiar and never attend any wedding in Malaysia as I'm actually not Malaysian..but need to have 1 wedding dinner at Penang as my husband is from Penang. Would like to gather as much info for hotel/restaurant that can cater for around 250-300pax with chinese set menu. Appreciate if you can help. Do a search under Location: Penang. Click on the "Max pax" to sort the capacity of the venue. Hope you find a suitable one. This is such a great stop to get all the wedding info! Kudos! Do you provide info for Malay weddings? (halls, caterers, etc). I have added a few halls under Type: "Hall and Other". Also under "Bungalow". You can find the estimated cost, capacity and reviews from others who organized or attended a wedding there. 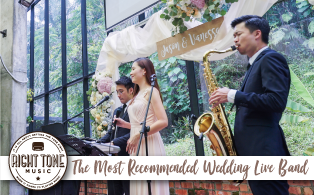 I think Duchess Place in Ampang has a nice environment for wedding, and it receives good reviews as well. For MUA and photographer, what style are you looking for and what's the budget like? Im planning for my wedding and would like to know choices of nice venues in KL for small reception - 40-50 ppl and a chinese banquet - 20 tables. just wondering if i can have a password to access please? It saves us a lot of time and efforts in searching for wedding package. Especially being the first and the only once occasion. Appreciate ur access as we are in the midst preparing our wedding.thx. Hi Le Ann, Thanks for the access! having fun browsing through all the entries! 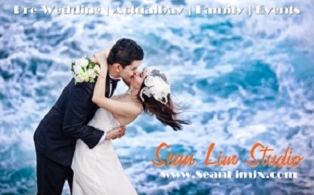 Hi Le Ann, I love your blog, it's really helpful for would be brides and hope you keep it up! Great job! I attended a wedding banquet at Shangrila and the experience was mediocre I must say. Food is ok, ambiance is abit shabby. But it wasn't up to my expectations. Can I please have the access. Many thanks! Please share your experience. It will save BTBs time and effort finding their perfect vendor, also keep them from repeating the same mistakes. Select "Name/URL", enter your name or nickname (If you don't have any of the accounts listed).